Another, yes another, safety issue from the Japanese leader. The latest to join a growing recall list at Toyota. The following is significantly revised from the original story to add Nissan and Ford Motor involvement – editor. When Toyota started pressing for world leadership almost a decade ago, management did not envision obtaining another kind of automotive leadership — recalls. 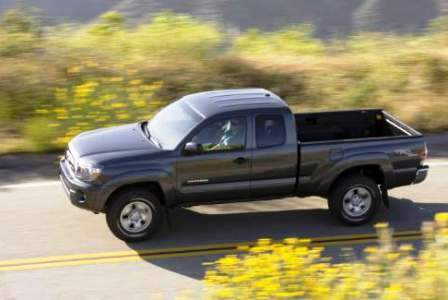 In a classic late Friday release, the beleaguered company announced its latest recall involving current production Tacoma pickup trucks. Toyota said in a brief statement that 2010 model four-wheel-drive Tacoma pickup trucks may have cracked driveshaft yokes. No accidents or warranty claims have been reported. Other makers including Ford Motor and Nissan are involved in this safety related defect, according to a person familiar with the matter, since driveline supplier Dana made the defective shafts, estimated at 34,000. Toyota only used 8,000 of them. All-wheel-drive versions of Ford Escape, Mercury Mariner and Mazda Tribute models used about 17,000, although the shaft went to the rear wheels; leaving Nissan with about 9,000 of the potentially questionable shafts. There is of course a tendency at all auto companies to attempt to minimize both the number of defective vehicles recalled, and to take steps to also minimize resulting publicity. The other makers that used the Dana shafts have five business days to recall a vehicle, once — and if – a defect is determined in their applications. Old style, pre-web communications practices are complicating the problem. Terse statements with as little detail as possible are standard practice in the industry, making it impossible for owners or journalists to assess the severity of the problem and act appropriately. 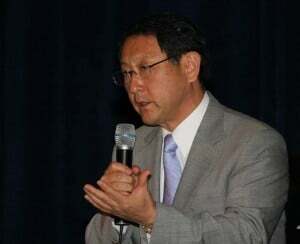 In the current environment, Toyota immediately recalled the vehicles after being informed by Dana. This Tacoma action follows recent recalls on Toyota Prius and Lexus hybrid models for defective brakes, Camry steering failures, and accelerator sticking and floor mat entrapment on at least eight models. Model year 2005-2010 Tacoma trucks are also involved in the floor mat entrapment recall of last September for unintended acceleration problems. More than 8 million vehicles have now been recalled by Toyota globally. In the U.S., the company faces two Congressional hearings over its safety procedures, and the Senate has now scheduled a third public hearing. More hearings are possible. The Good, Bad or Ugly! Worse, as publicity mounts, we expect that more recalls will be added, or previous ones expanded as the U.S. National Highway Traffic Safety Administration reviews Toyota procedures and data with a new skepticism based on what critics claim is a long history of ignoring customer problems that reaches all the way back to corporate headquarters in Japan. Toyota CEO Akio Toyoda apologizing for the company's ongoing safety problems. In the Tacoma recall, the driveshaft may have cracks that developed during the manufacturing process. As Tacomas are driven, the cracks may eventually lead to the separation of the driveshaft. In its brief statement, Toyota did not say whether this results in a complete failure of Tacoma mobility, stranding it on the road, or whether the truck can still be driven. Toyota says that the required driveshaft inspection will take ten minutes – but did not explain how dealership service departments, currently swamped with other recall actions on millions upon millions of vehicles would be able to handle the additional work. There are about 1,400 Toyota, Lexus and Scion dealerships in the U.S. The Tacoma inspection and/or replacement of the driveshaft will be performed at no cost to the vehicle owner when it is, eventually, done. Toyota will notify owners by first class mail starting in mid-March, 2010. This entry was posted on Saturday, February 13th, 2010 at and is filed under Automobiles. You can follow any responses to this entry through the RSS 2.0 feed. Both comments and pings are currently closed. I heard one theory saying that it will be better to get all the recalls over ASAP rather than drag them out. Larry: Too late for that, I think, but yes it is a well known p.r. theory to get all the bad news out at once, and dribble out the good news. The problem here is likely as much cultural as it is procedural in my view. The Japanese are used to quietly handling problems, and the oriental concept of “face” makes public disclosure painful. In this latest case, Toyota immediately recalled, while Nissan and Ford Motor are still studying the problem. “On Feb. 11, Dana notified NHTSA of a crack in certain tube yokes used in driveshafts installed on certain Ford, Nissan, and Toyota vehicles. Attached to the end of a driveshaft tube, the tube yoke transfers torque between the tube and a universal joint. “This involves a total population of approximately 34,000 parts sold to Toyota, Nissan, and Ford. The issue was detected quickly, and Dana believes only a small percentage of the affected vehicles have been sold to the public. We also estimate that less than 2 percent of the parts may have a problem. “Dana is not aware of any accidents or warranty claims. It goes on and on and on, has there ever been so much media attention over recalls? We have had decades of recalls and will always have recalls so why so much attention now? Is it because we have the internet and all its spin offs. I’m beginning to believe a problem arises, is speculated on, discussed at length and solved in theory possibly before the manufacturer is even aware or has a solution. It seems we the public have become judge, jury and executioner when a problem arises just because we have world access. We should use the net for informing the NHTSA or manufacturer directly making them aware of a repetitive fault not to produce gossip and negative PR for the product or company. This new found power just may “back fire” in our face with the loss of some worthy products. Old style, pre-web communications practices are complicating the problem. Terse statements with as little detail as possible are standard practice in the industry, making it impossible for owners – or journalists – to assess the severity of the problem and act or treat it appropriately. Supplier statements such as Dana’s are also of little use to owners. – editor.